The U.S. election doesn’t seem to matter much for Central America. Salvadoran President Mauricio Funes – speaking at an event with U.S. Ambassador Mari Carmen Aponte – publicly wished the “best of luck” to President Barack Obama, reflecting his close relationship with the American President. 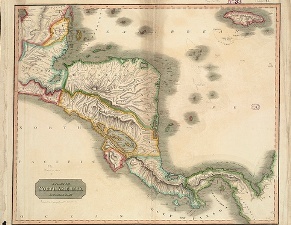 At the Summit of the Americas in Cartagena last spring, Funes – along with Honduran President Porfirio Pepe Lobo – appeared to be Washington’s closest ally in the “war on drugs.” This came after newly elected Guatemalan President Otto Pérez had raised the idea of legalizing marijuana, which Obama´s State Department has opposed fiercely. Costa Rican President Laura Chinchilla slammed “the international community” – code for the United States – for pushing a policy in which only Central Americans died. Nicaraguan President Daniel Ortega, while perhaps Washington’s most effective partner in counternarcotics, has resorted to old-school anti-U.S. rhetoric. Panama is missing in action as a Central American voice. The U.S. has two main interests in the subregion. One is combating the drug trade, and the other, according to informed observers, is blocking the influence of Venezuelan President Hugo Chávez. The U.S. Southern Command estimates that roughly 500 tons of cocaine enters the U.S. market through Central America, accounting for some 60 percent of U.S. consumption. But there are very few clues in the American electoral narrative about either Obama´s or Republican contender Mitt Romney´s views on Latin America, not to mention Central America. Romney´s Latin America advisors are perceived as the same hawks, with the same close ties to the Miami lobby, who dominated during the Bush administration. Robert Zoellick, the fixer for the Central American Free Trade Agreement (CAFTA) in Washington some eight years ago, is also close to the GOP campaign and has been mentioned as a potential cabinet member, perhaps suggesting a push for some sort of second chapter of neoliberal reform. To date there are no signs of fresh faces in the Obama camp, casting doubt as to whether a second-term State Department will be more open to out-of-the-box thinking. This apparent estrangement comes at a time that the northern triangle of Central America – Guatemala, Honduras and El Salvador – is on a very dangerous path towards uncontrolled violence and even more weakened states. Neighboring countries are hardly in a position to help. President Laura Chinchilla´s tenure in Costa Rica is fading rapidly toward lame-duck status, and Panamanian President Ricardo Martinelli is surrounded by corruption allegations. For a second-term or incoming U.S. President, Nicaragua´s slippage on good-governance, despite the country’s economic tranquility, provides little political space for cooperation. The next U.S. President will have no easy options in the most violent region of the world, which now faces, as Colombia did 20 years ago, a clear and present danger. The absence of visible alternatives is probably a consequence of the fact that, since the Salvadoran Peace Accord ended the Cold War in Central America, Washington has not perceived much urgency to grapple with the fundamental political and economic challenges confronting the region. Only by doing so will a new administration identify opportunities to move forward with a jointly articulated agenda. How Real is Anti-Americanism in Latin America?